To contact Happijac in Kaysville, Utah call 801-544-2585. Visit the Happijac website at happijac.com and request a Happijac brochure. For further information, check out Maintaining Happijac Jacks. Happijac 4820 Jacks are part of a Happijac truck camper jack system. Happijac 4820 Jacks have a 2,800 pound capacity per jack. The 4820 Jacks feature 2″ square tubing and 36″ of lift. The 4820 jack includes an outer tube that has been zinc plated and then powder coated for superior corrosion resistance. It also has a wiper at the bottom of the jack to help prevent debris from getting into the the jack leg, and a zinc plated inner leg. The new 4820 jack is designed to work with the new Happijac clutchless, current sensing motor and electronics. All Happijac jacks have an electrical upgrade option and have a one year warranty. Happijac 4220 Jacks are part of a Happijac truck camper jack system. Happijac 4220 Jacks have a 2,200 pound capacity per jack. The 4220 Jacks feature 2″ square tubing and 34.5″ of lift. The 4220 jack includes an outer tube that has been zinc plated and then powder coated for superior corrosion resistance. It also has a wiper at the bottom of the jack to help prevent debris from getting into the jack leg, and a zinc plated inner leg. The new 4220 jack is designed to work with the new Happijac clutchless, current sensing motor and electronics. All Happijac jacks have an electrical upgrade option and have a one year warranty. 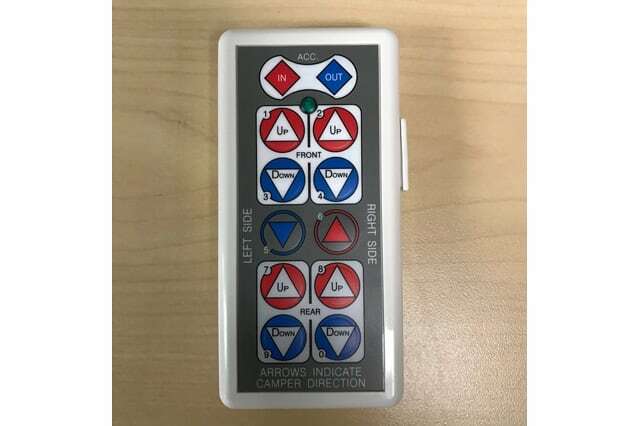 The Happijac CSS Wireless Remote System is part of the new Happijac truck camper jack system. 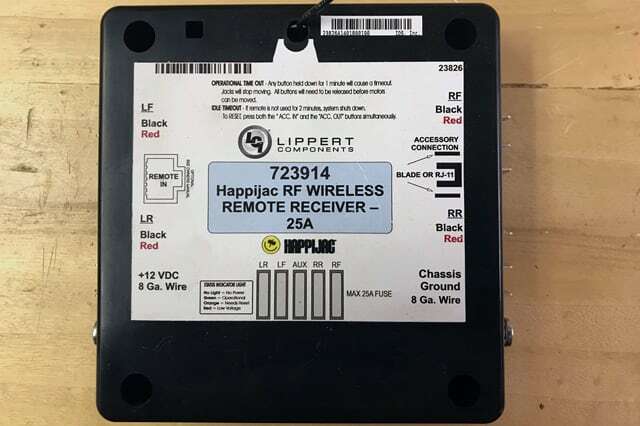 Happijac’s new CCS Wireless Remote System is used with Happijac 4220 and 4820 jacks to raise and lower your camper. 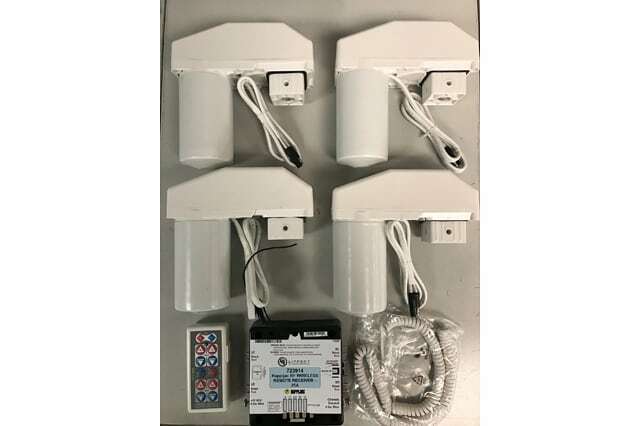 The kit includes four CCS motor drive heads, four motor drive couplers, a main CCS logic board, a wireless CCS remote control, and mounting hardware. Happijac Wireless Remote Systems have a one year warranty. Please note the CCS electronics and motors can only be used with the Happijac 4220 and 4820 jacks. The Happijac Wireless Remote System is part of the Happijac truck camper jack system. Happijac’s Wireless Remote System is used with Happijac jacks to raise and lower your camper. 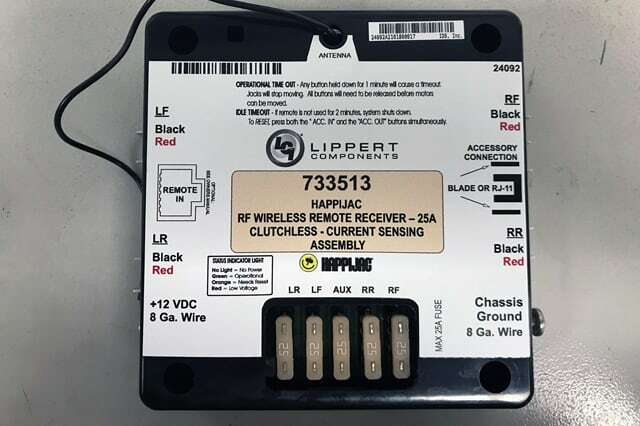 The Happijac wired remote system can be upgraded to a Happijac Wireless Remote System. 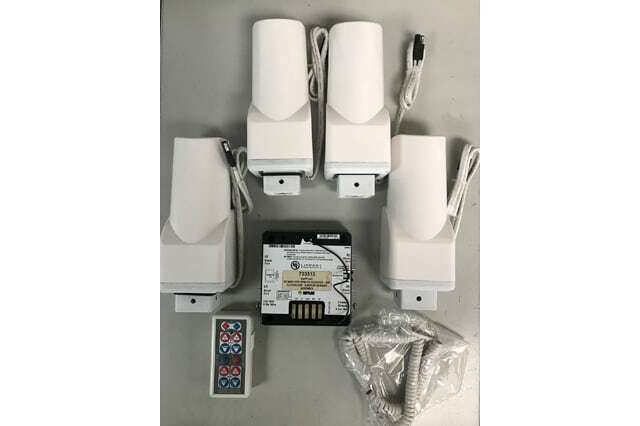 The kit includes four motor drive heads, four motor drive couplers, a main logic board, a wireless remote control, and mounting hardware. Happijac Wireless Remote Systems have a one year warranty.